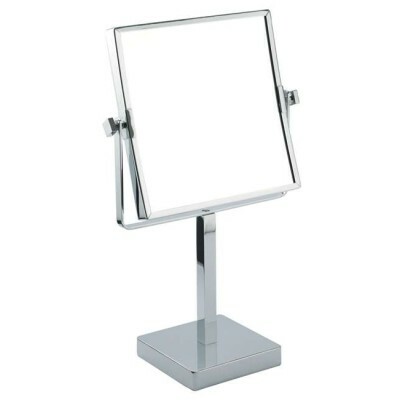 Our range of shaving mirrors come in a variety of magnification options allowing you to get the best view when shaving. Traditional, scissor action, extending wall mirror in chrome finished to a fabulous specification - this is not like most other scissors mirrors you will find.Strong and sturdy when extended and neat and tidy when pushed back against the wall, making this a superb choice. Wall mountings supplied. True image on one side and 5x magnification on the other. A large diameter, contemporary, non fussy chrome bathroom or bedroom mirror with a true image on one side and 3x magnification on the other. This black folding 5x mag mirror can be used at home, in the office or even packed away for travel as it weighs just 640g. It has a silver frame with a chrome, folding easel which holds the mirror, measuring 20cm diameter in place. This silver folding 5x mag mirror can be used at home, in the office or even packed away for travel as it weighs just 640g. 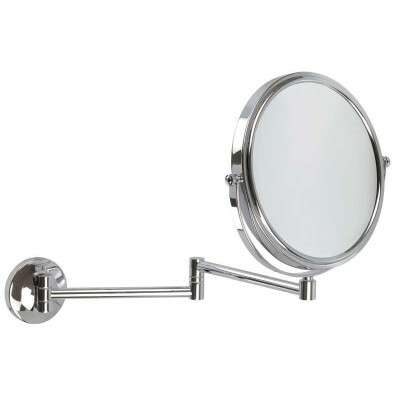 It has a silver frame with a chrome, folding easel which holds the mirror, measuring 20cm diameter in place. 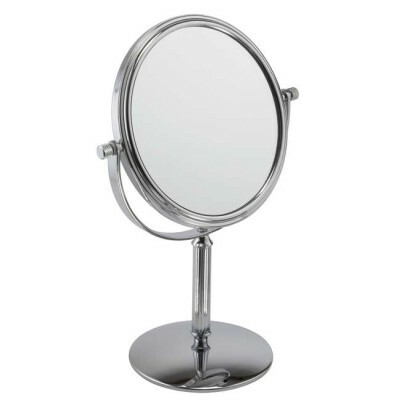 Beautifully finished, extending chrome pedestal mirror on a circular base. This mirror has 5 x magnification on one side and a true image on the other. Perfect for shaving or make-up application. Dimensions: Overall height 40 cm extending to 50 cm and diameter 20 cm. Base 14cm.